Pet owners are getting messages from a fraudster saying, "Hey I have your dog." Lori Dortch and her family were devastated when their beloved dog, Maisy, went missing in February. Dortch, a 40-year-old mother of two teenage girls in Dallas, Texas, told BuzzFeed News she set up a Facebook page in a desperate search for their two-year-old Chihuahua, who went missing from her husband's parent's home in Frisco, Texas in late February. "Hoping and praying for a sighting or a call. Or something. Anything," Dortch wrote in a post the week Maisy went missing. About two months after Maisy went missing, Dortch got a text from someone with an Arkansas area code claiming to have her dog. 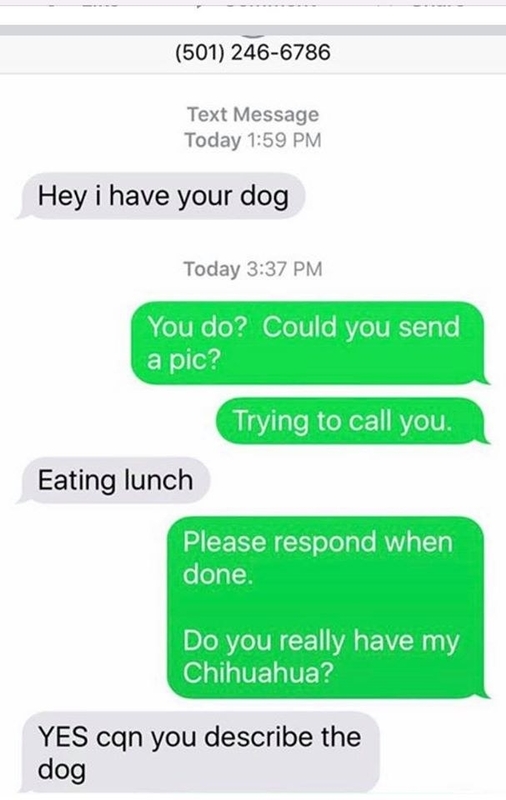 "Hey i have your dog," the message said. But the texts quickly appeared fishy. Dortch said she insisted the person describe her dog, but they became defensive and launched into a text tirade calling her names and threatening to hurt the animal, she said. "I felt very violated," she said, adding that she briefly considered engaging the person in hopes that they had Maisy. "You know you miss your animal so much you would do anything for the return of your beloved pet." Instead she decided to post a warning to the Facebook page she had set up, which has more than 1,900 followers. Her post brought forward dozens of other people who had been targeted by this pet scam. "Deep down, in my heart, yes I'm crushed that a person out there is preying on individuals," said Dortch. "I'm not any more special than any other person who has been upset or overturned by this guy's shenanigans." The Hot Springs Police Department and Arkansas Attorney General are now warning people about the scam, after the department received several reports from lost pet owners. Scammers scour social media targeting people who posted that their beloved pet is missing, Attorney General Leslie Rutledge said in a statement on Wednesday. They then contact the person and demand money in return for the pet. Others have reported that the scammer claims to need money to cover transportation costs. But they don't have the pet at all. 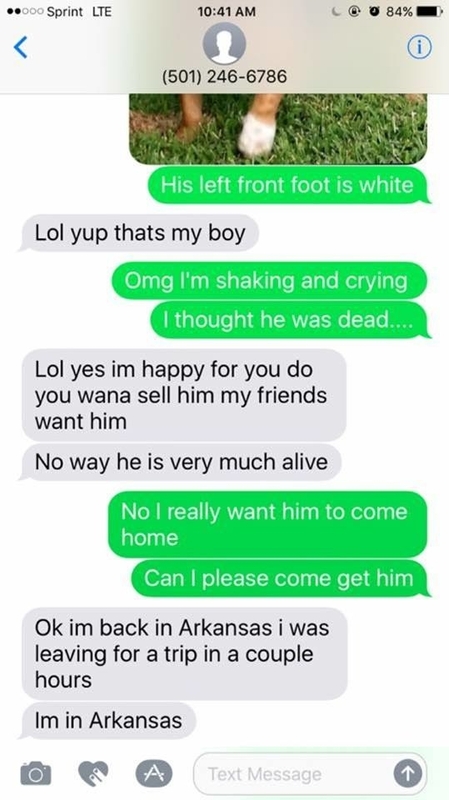 A Tennessee resident named Jeremy told BuzzFeed News he was elated when he received a text from the same Arkansas phone number earlier this week saying that his dog, Sam, had been found. He had been searching for Sam for about eight months after he heard that she may have been adopted out at a local animal shelter. He posted on Craigslist and social media looking for help to find Sam. He had to put his dog up for adoption after his rent increased and he couldn't find another place that allowed dogs. The family who took Sam then gave her up at an animal shelter while he was out of the country on a short school trip. 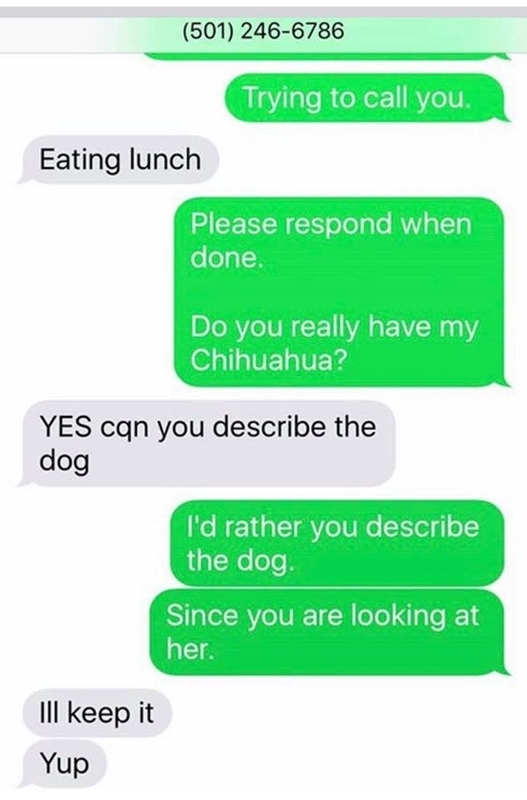 "Hey I think I have your dog," read a text Jeremy received. 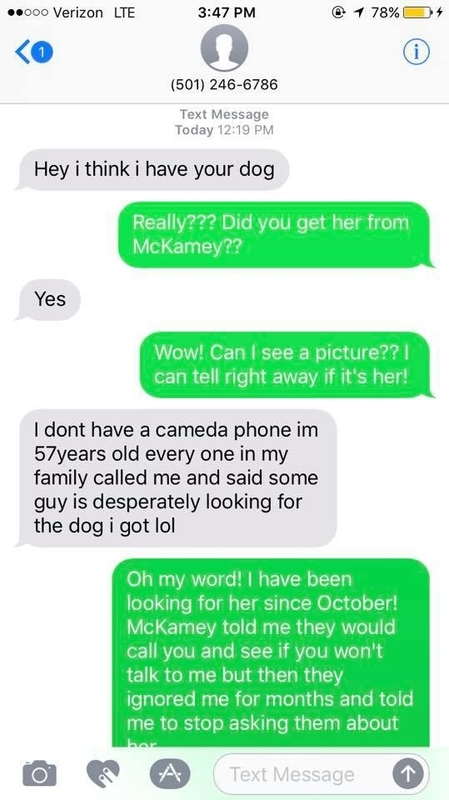 "I don't have a camera phone I'm 57 years old every one in my family called me and said some guy is desperately looking for the dog I got lol." 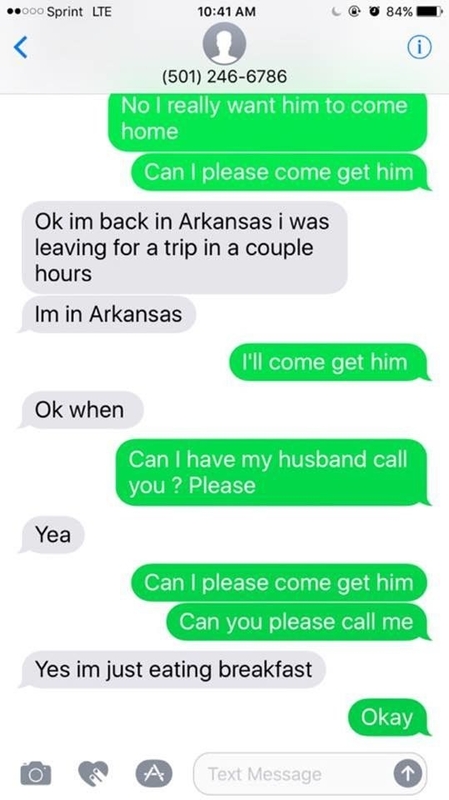 Jeremy's texts with the person claiming to have his dog quickly became hostile — with the person threatening to kill him — as Jeremy pressed the scammer for more information. 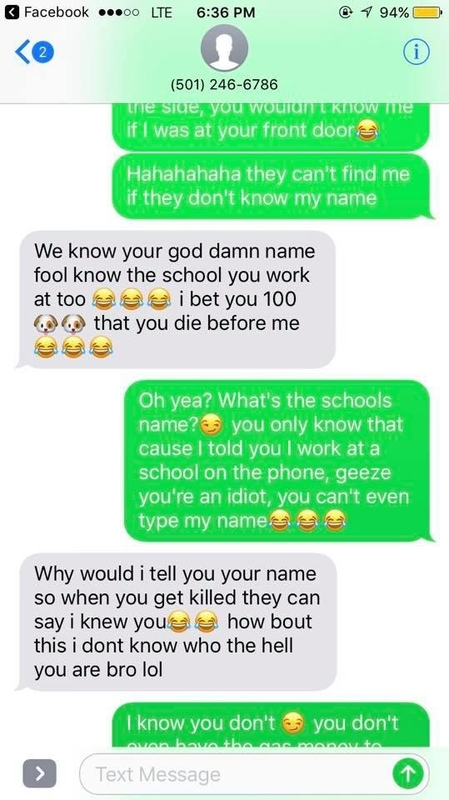 "I showed them all your text to me they wanna kill you dude," the fraudster said. Jeremy immediately filed a police report about the scammer. "He knew what he was doing," said Jeremy. "He plays on people wanting to find their pets." The scam extends out to Oklahoma. Sherry Vinson told BuzzFeed News she was also targeted by the scammer claiming to have her lost dog, Walley. Walley, a two-and-a-half-year-old beagle mix, escaped the family's home in the countryside of Moore, Oklahoma in March. 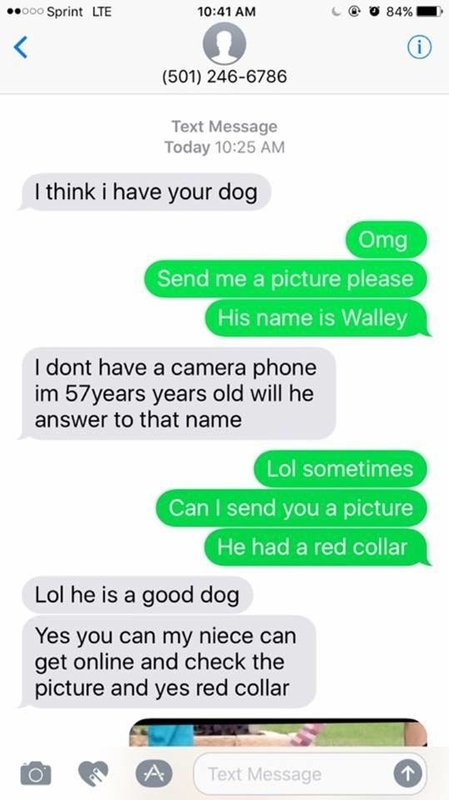 "I think I have your dog," the scammer wrote. "I don't have a camera phone I'm 57 years old." Vinson, 48, eagerly texted her husband that someone had found their family dog. Her husband, however, suspected something sinister was going on and searched the number online. 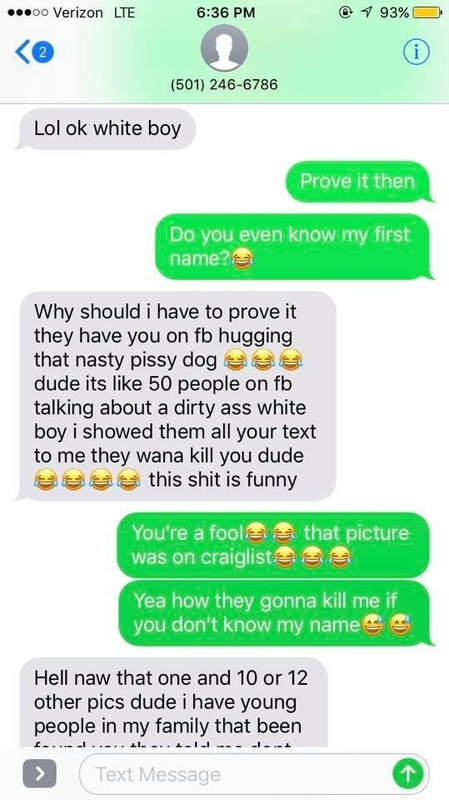 He discovered a Facebook page of other lost pet owners who had been scammed by the same number. The family adopted Walley from a neighbor 10 years after their previous dog had been shot by another neighbor. She said that losing Walley was "like going through a death" only to feel some false sense of hope by a scammer that he may have been found. "I had to go through a loss all over again," she said. "I don't understand why people would do that." This post has been updated to remove Jeremy's identifying details out of concern for his safety.